Food and Wine Magazine focuses on a central subject in each issue. It also explores travel destinations and uses each place to bring the reader ethnic dishes, tastes, textures and flavors from different locales. Articles are generally clustered to allow for easier reading. Many, if not most of the ads, are geared towards a higher end. The October issue traditionally focuses on wine, at which time the winners of Food & Wine's American Wine Awards are announced. 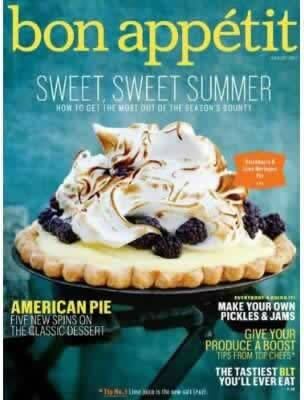 This award winning magazine has been recognized by the James Beard Foundation for journalism about the restaurant industry, emerging food trends, and wine coverage. 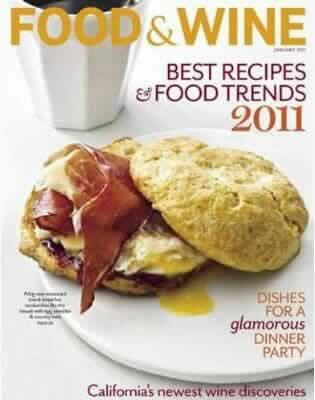 Food & Wine also was the Gold Winner in 2008 of the Folio Eddie Award, for the September 2007 anniversary issue.